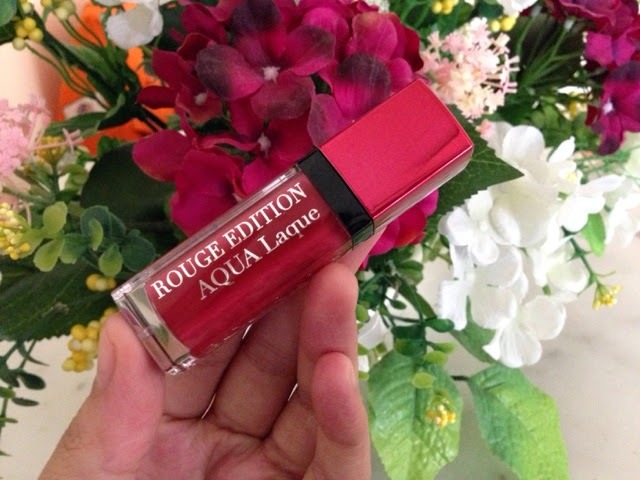 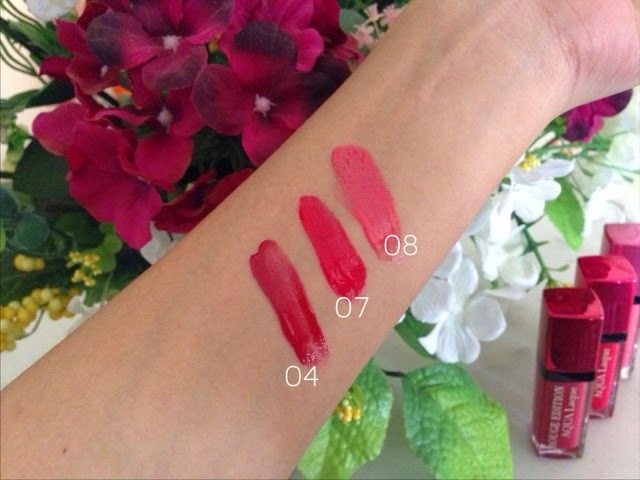 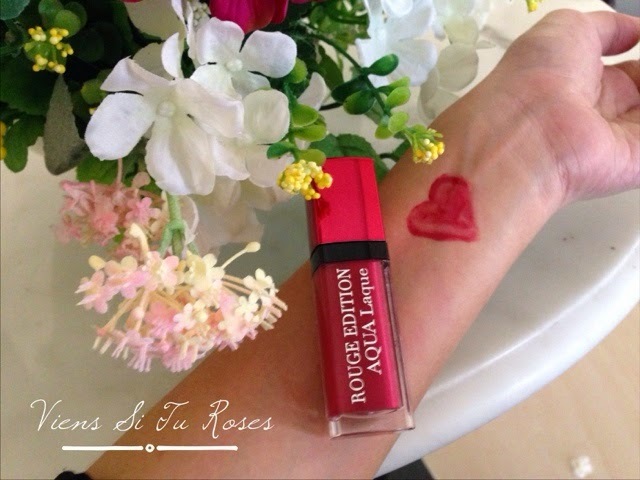 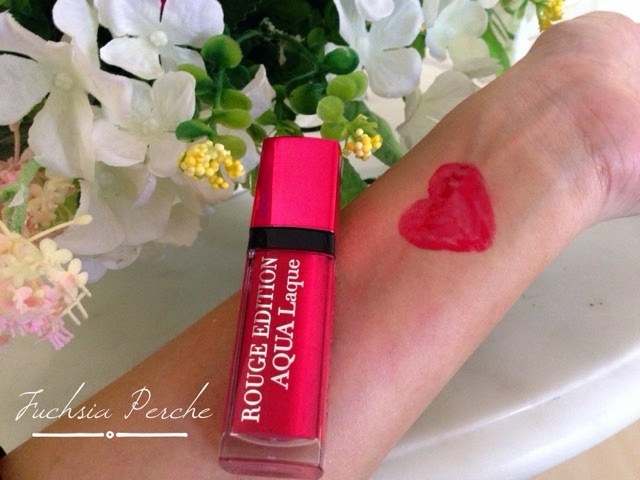 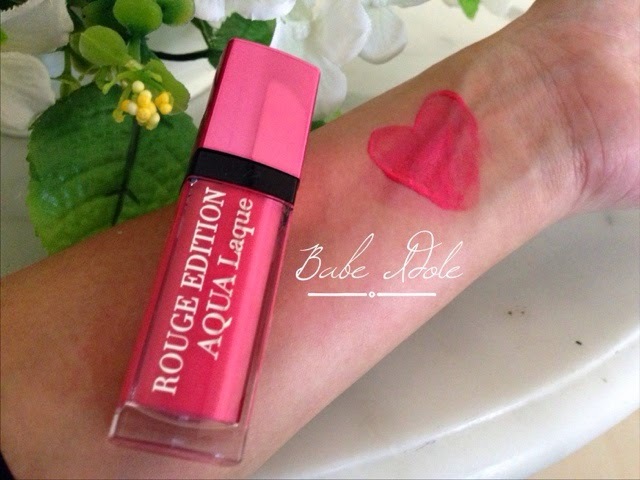 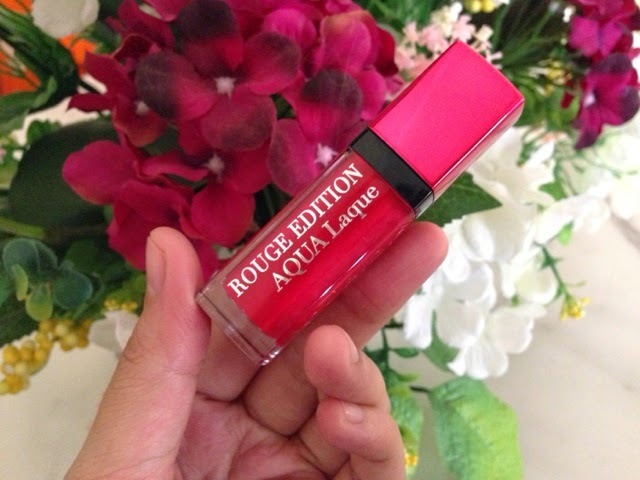 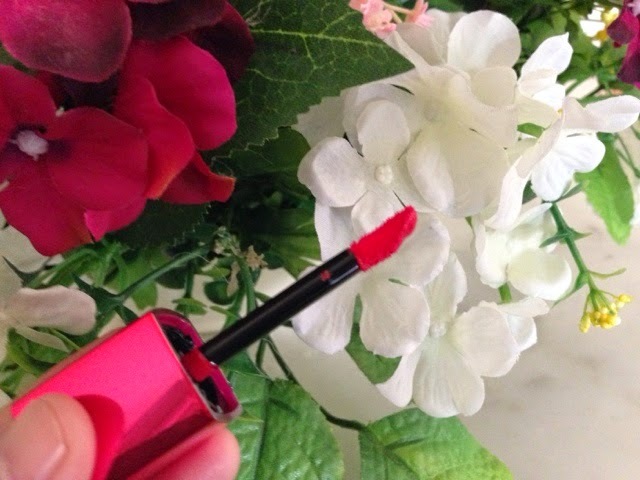 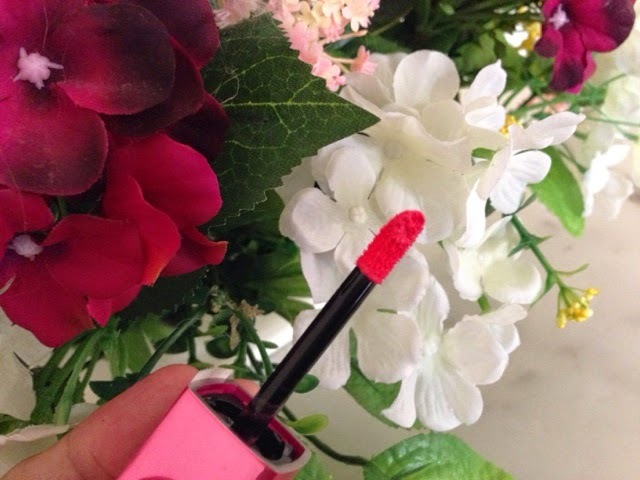 According to Bourjois Paris, their Bourjois Rogue Edition Aqua Laque lipsticks are made by combining a high concentration of water and Nymphea Extract which has great moisturizing ability (up to 10 hours) and contains all the necessary element to achieve light and refreshing texture. 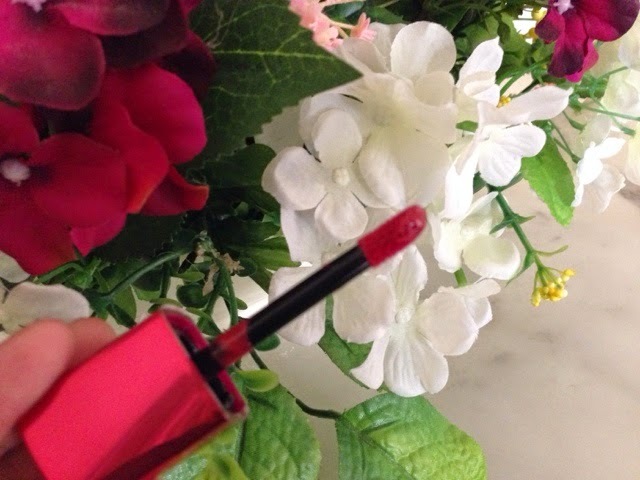 Not only that, it's also butter and wax free to protect the quality of the colours. 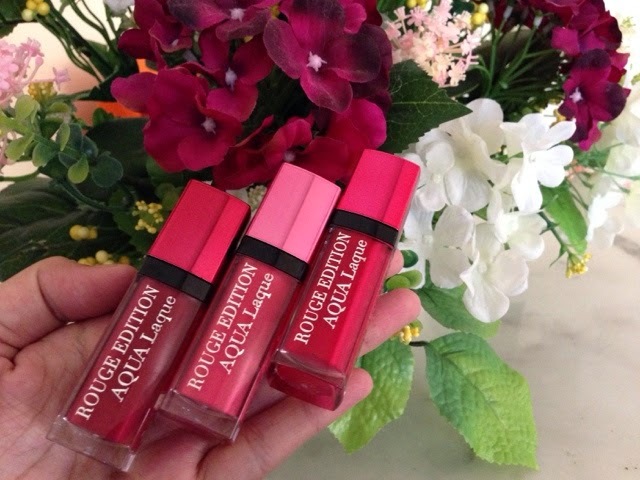 So you can expect intense hydration and colours that isn't sticky on the lips, isn't that sweet? 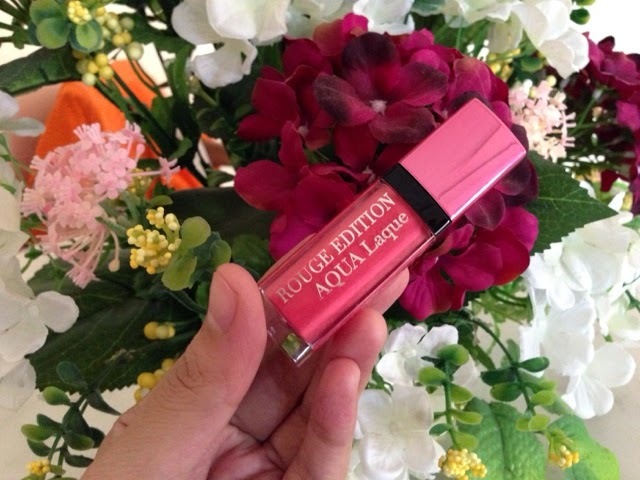 So yes, all that making me even more excited to give Bourjois Rogue Edition Aqua Laque a try and I'm just lucky enough to have 3 to play with, wink2 The range comes in 8 beautiful shades from 4 different characteristics; Fresh Nudes, Elegant Pinks, Vibrant Oranges and of course the Flamboyant Reds. 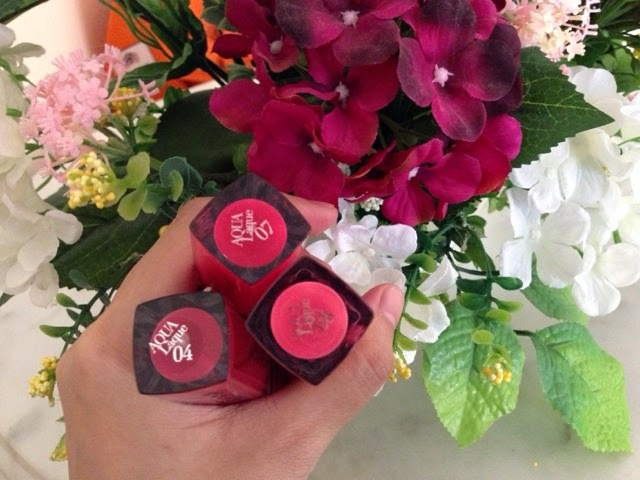 Always a fan of Pink and Red; mine falls under the Elegant Pink and Flamboyant Reds categories in Viens Si Tu Roses (04), Fuchsia Perche (07) and Babe Idole (08).